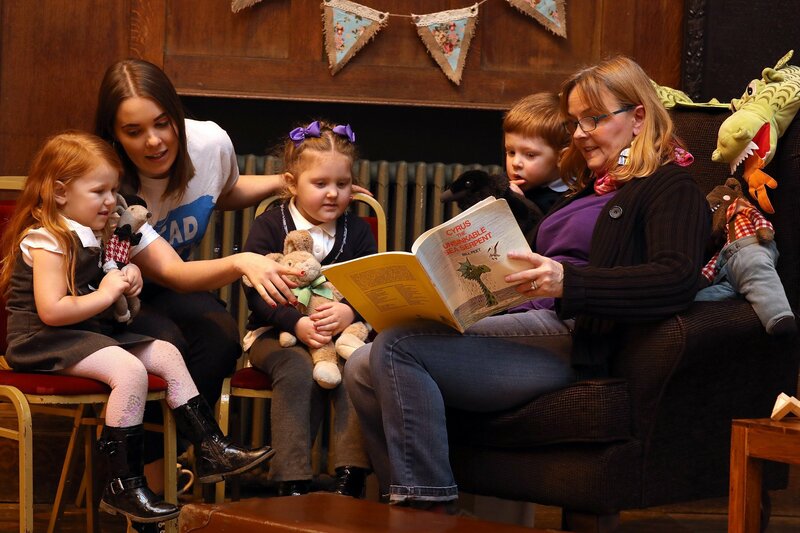 Our Read North East campaign launched its new Redcar Early Years Partnership today with a storytelling event for children. The Redcar Early Years Partnership, a project in partnership with Redcar and Cleveland Borough Council and Public Health South Tees, will bring the National Literacy Trust’s flagship early years programme, Early Words Together, to 20 settings across Redcar and Cleveland, with the aim of reaching more than 400 families over the next two years. 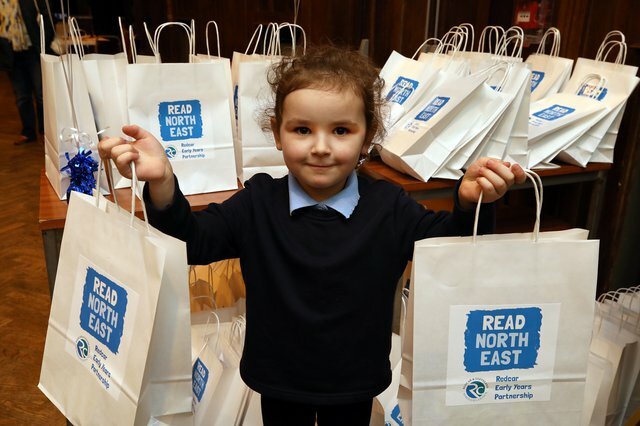 The project will also incorporate other Read North East campaign activity, such as book giveaways, to improve the literacy outcomes of preschool children. Early Words Together trains early years staff and volunteers to work with parents and children aged three to five, building parents’ confidence so that they can support their children’s communication, language and literacy skills at home. Research shows that parents and the home learning environment (HLE) play a crucial role in tackling the early word gap between disadvantaged pupils and their peers, supporting early literacy skills and helping children to fulfil their potential. 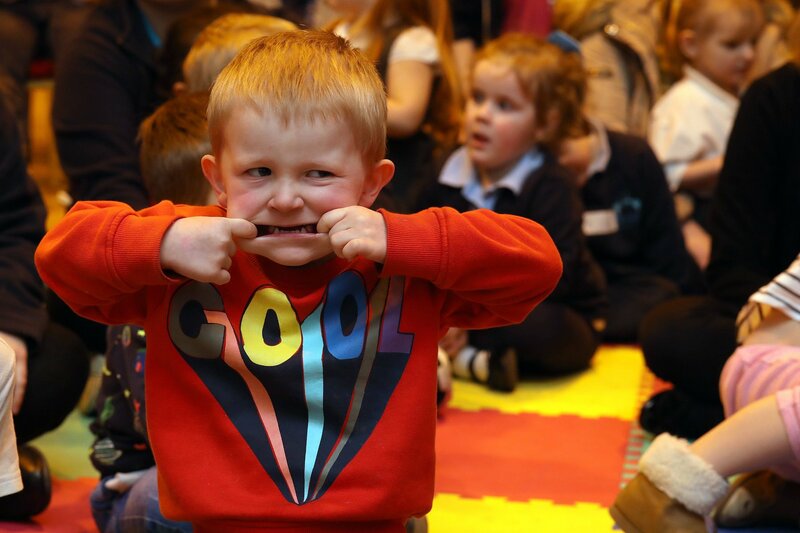 The campaign launched today with a storytelling event for selected early years settings, staff and parents. Children were treated to storytelling sessions and each child took home a free book. Read North East is a creative campaign from the North East Literacy Forum, led by the National Literacy Trust and supported by Penguin Random House UK, the Education Endowment Foundation and Greggs PLC. Established in 2017, the campaign’s key focus is encouraging parents of early years children to change their literacy behaviours. 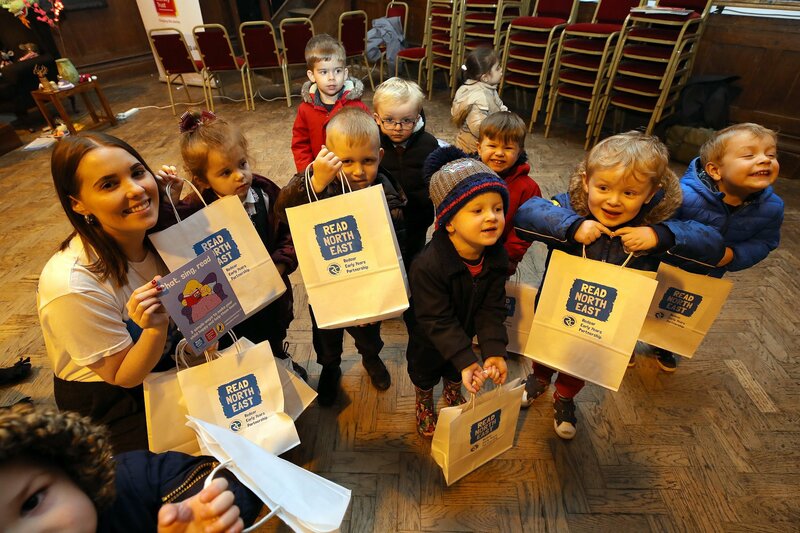 “We’re delighted to bring our Read North East campaign to the youngest residents of the town as part of the Redcar Early Years Partnership. 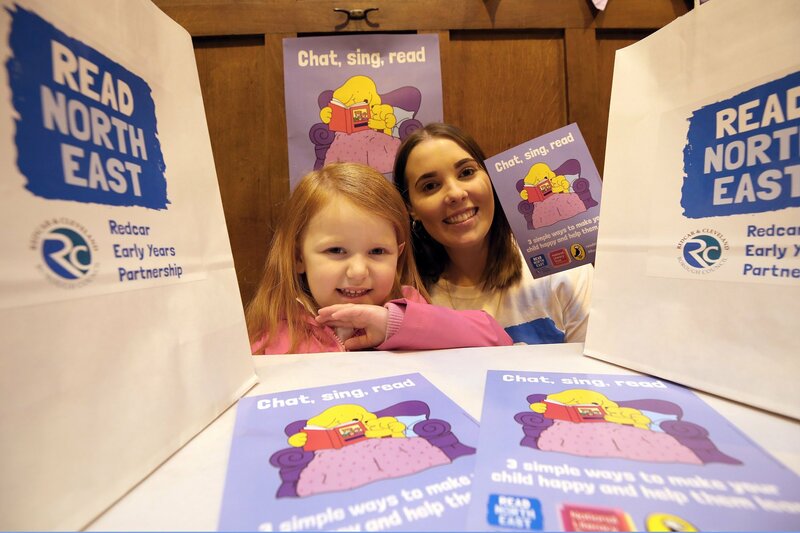 Our new specific tag line ‘Chat, sing, read’ - 3 simple ways to make your child happy and help them learn – was drafted very much with our target audience in mind. 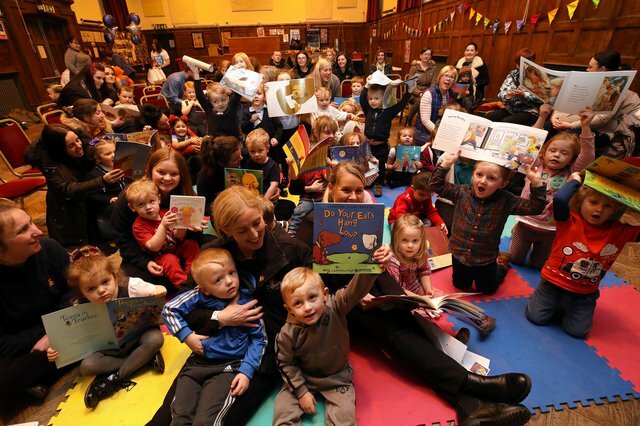 “We welcome any scheme that brings families together and develops a shared love of books. 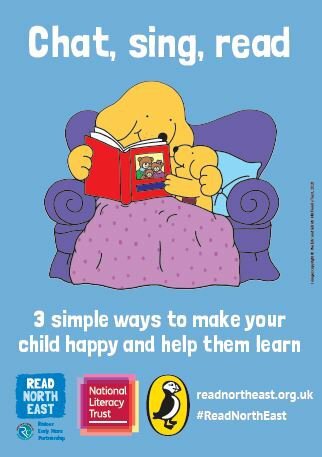 “Reading is an essential part of life and the best way to encourage children is to create a sense of joy in reading, rather than seeing it as a chore. 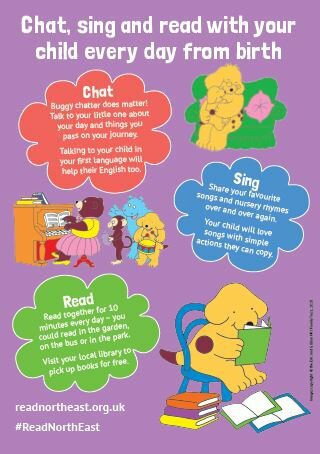 I’m sure Early Words Together will be a great success and children will enjoy sharing the antics of Spot the Dog and other much-loved characters with their parents.